(Wilmington, DE) Anchor Health Properties (Anchor), a national full-service healthcare real estate development, management, and investment company focused exclusively on medical facilities, has recently invested in a highly strategic 89,000 square foot institutional quality outpatient medical center in Sun City, Arizona through a joint venture with an affiliate of The Carlyle Group. Originally developed as part of a multi-use project, La Ronde Medical Centre was completely redeveloped between 2015 -2016 into a forward-thinking, integrated, and synergistic medical campus offering storefront access for each tenant – a major strategic advantage given the need for ease of access by the local senior population. 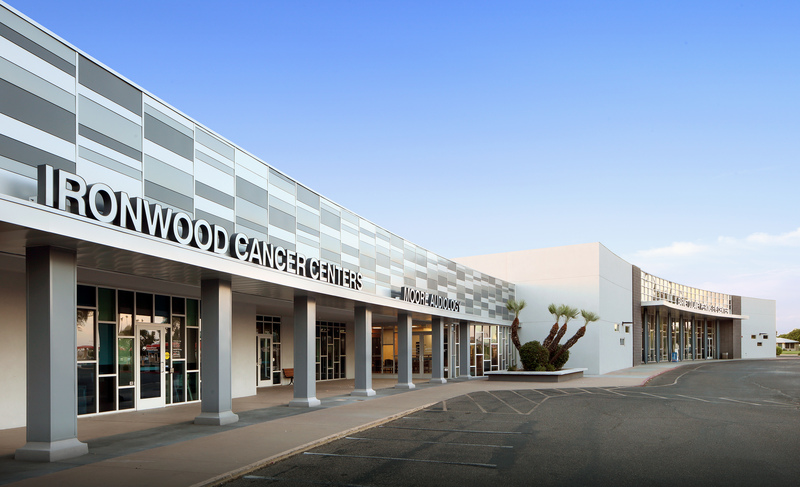 After the redevelopment, the property was awarded the National Association of Industrial and Office Properties (NAIOP) Medical Redevelopment Project of the Year in Phoenix in 2016. La Ronde Medical Centre features large glass tenant entries, expansive 12 foot ceilings, updated building signage, abundant off-street parking, and direct entry to each tenant suite – creating an individual retail service identity for each medical provider. Anchor Health Properties is a national, full-service healthcare real estate development, management, leasing, and investment serving investors and health systems. Anchor takes a strategic approach to navigating the extremely competitive healthcare marketplace, considering multiple angles, such as retail drivers, customer experience, branding and efficiency of the project. We develop and manage projects across the United States that respond to the new landscape of employed physicians, team-based care, the need to optimize assets and reduce duplication, and the integration of care and technology. Anchor manages and leases over four million square feet of medical office space, inclusive of numerous projects under construction. Anchor maintains twelve offices nationally and features nearly 60 professionals in its ranks. Over the past five years, Anchor principals have acquired and/or developed over $3 billion of medical real estate across the country. Healthcare today calls not only for new and more efficient ways of delivering outpatient services, but also a different kind of healthcare development and management company. For more information, please visit: www.anchorhealthproperties.com.